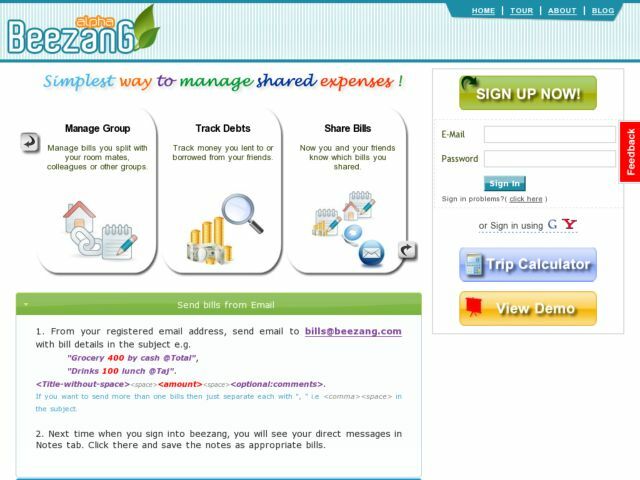 Beezang is a free simple to use service that helps you manage and keep track of expenses you share with your friends, colleagues and roommates. If you are a student or young working professional, its very likely in your daily life you find yourself splitting bills with other folks, paying bills for someone else or vice versa. You can report all these transactions on Beezang in matter of seconds and start tracking your money.